Implementation of ERP software to any kind of business processes is utmost crucial phenomenon and it needs serious attention to get it done in proper way. A business goes for an ERP implementation when they want to take their business few steps ahead. For example an ERP implementation is always on account of any business expansion, urge of new demands, improving the efficiency of employees or recurring lapses in current software. The ultimate motive behind any ERP implementation is the overall improvement of a business organization. An ERP implementation urges a complete commitment from the side of the project team for ensuring the business success. Before implementing an ERP, the team has to critically analyze all the aspects related to business, the issues need to resolve and come out with a strategic planning over the new implementation. In short, for a speedy improvement in business efficiency, there should be a proper execution planning among the project team before implementing an ERP. One has to remember numerous things before implementing an ERP, as many times the ERP implementation comes with surprises in the organization and often dragging the project timelines unnecessarily. 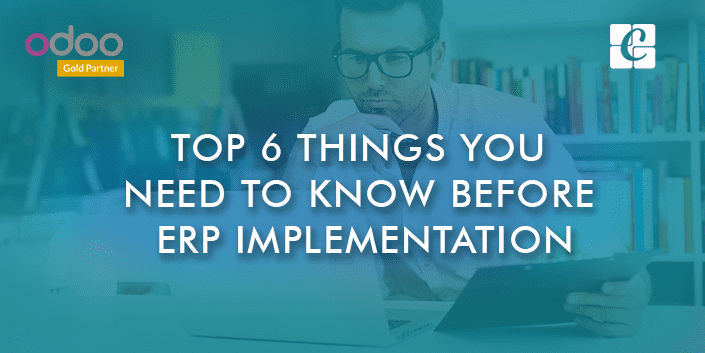 Things to remember before doing the ERP implementation. An ERP implementation turns productive and successful, only if they are tailored according to business needs. When an ERP meets and perfectly fits the business requirement, it is called a successful ERP implementation. For that, one has to clearly understand the business processes, roles, hierarchy, departments for specifying the requirements aptly. The identifying of Key Performance Indicators (KPI) helps the business organization or the designated person in choosing the right ERP software for the business. For any step of improvement, one has to clearly diagnose the present situation. Within the pursuit of ERP implementation, one needs to specifically chart the present business processes and further draw a chart specifying the new changes with respect to old processes and upcoming new ERP implementations. This classified workflow will assist the implementation partners to analyze the requirement, thereby suggest a good ERP implementation perfectly fitting the business requirements and needs. Each employee has their own set of skills and capabilities. A better understanding of employee’s functional capabilities within their department helps to formulate a powerful ERP software application. Always make sure in allocating those employees having hands-on experience and a better understanding of business processes during the implementation. This helps in meeting the right needs and requirements. Right from comprehending the business needs to developing perfect solutions, a best Odoo Implementation partner plays the crucial role. An ERP implementation partner/vendor always keep the customer desire on top priority while making the vital decisions. An ERP implementation partner gets you with flexibility in configuring the software as per your business requirements. They also make sure that the ERP chosen gets you with ultimate customization and personification. Even during the implementation process, it is very important to constantly monitor the developments and put key performance metrics in place and measure the impact of the ERP system will have after it is fully developed. This will help you in determining if all your efforts are going in the right direction and tell you whether or not the ERP system will improve your business efficiency. Keep it simple – Try to understand what you are getting with implementing an ERP solution and how it will benefit your business areas. Once the ERP implementation successfully gets done, it is mandatory to assure that the employees are equipped with sufficient knowledge of the new ERP system and will be able to deliver their best and derive maximum benefits from the newly implemented ERP. The business organizations should make sure that they do a proper knowledge transfer and conduct training sessions for the employees to maximum utilize the ERP software. Defining the particular roles and responsibilities to each employee will help in ruling out the confusions if any and also make sure everything is sorted on time. This phase comes only after your system has been tested for several scenarios and test cases, all your business processes have been properly configured and your employees have been well trained, it’s time to ‘go live’ or activate your ERP system. Make sure you are fully prepared to take on the new system before you finally go live on the program. A well-prepared and clearly defined implementation strategy can go a long way in ensuring the success of any ERP system. If you are looking for an ERP implementation service, Cybrosys Technologies provides the best Odoo ERP implementation and customization. To know more about us or avail our service, inbox your message info@cybrosys.com.